The aim of the tour is to give the participants an impression of the Australian science and culture. To achieve this, two thirds of the program will consist of visits to scientific institutes, universities and companies and one third will be spent on cultural activities. Melbourne was named after the English state man Lord Melbourne, who was born in the English county of Derbyshire. At the time of the foundation of the Australian town in 1835 he just started his second term as Prime Minister of Great Britain. The city of Melbourne with its four million inhabitants is now capital of Victoria, one of the eight Australian mainland states, and is considered the cultural capital of Australia. Hence you can find a lot of cultural activities to undertake in Melbourne: there are plenty possibilities to visit theatres, concerts and museums. There is the Melbourne Museum, an important centre of culture. Also there are monumental buildings, churches, cathedrals en libraries like the State Library of Victoria. The two large universities of Melbourne are Monash University and the University of Melbourne. The former is the largest in Australia, was founded in 1958 and named after Sir John Monash, who was a military commander in the First World War. In 1855 Melbourne University opened her doors for students. The university started with only three professors and sixteen students and is the oldest in her state. Today 44 thousand students attend the university and she is run by almost seven thousand staff members. Our journey will hopefully also go to the Australian Synchrotron and the Centre for Astrophysics and Supercomputing. During our visit the largest cultural event of Australia will take place in Melbourne. Throughout the city a diversity of activities will be held as part of the International Comedy Festival. Stand-up comedy, cabaret and music will all be in the game. 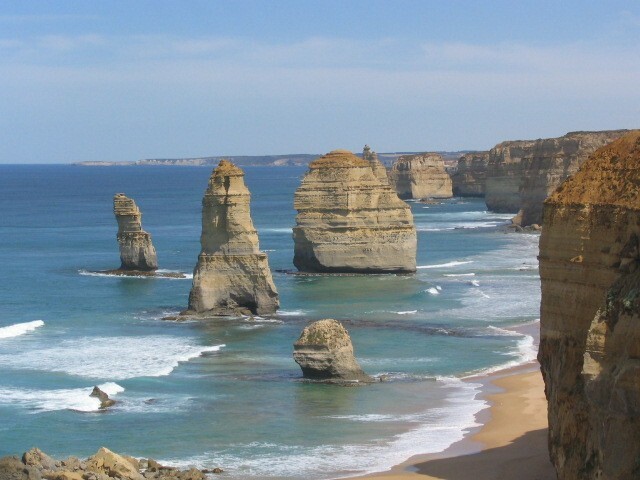 Our visit to southern Australia of course would not be complete without a tour of the Great Ocean Road! Marvellous natural parks where we can spot koalas, endless beaches and the phenomenal spires of the Twelve Apostles are all planned in. 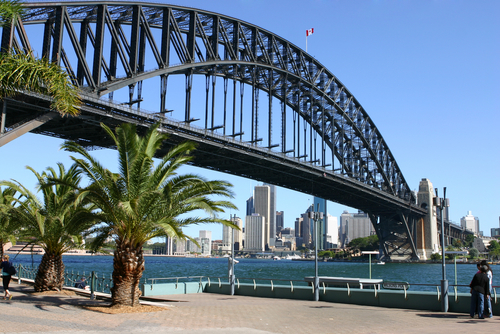 Sydney, largest and oldest metropolis of Australia, is the capital of New South Wales. From Sydney you can oversee the Tasman Sea stretching towards New Zealand and, prominently in its own harbour, the Sydney Opera House and the Harbour Bridge. The area around the port of Sydney had already been inhabited for 40 thousand years by the aboriginal people. Although urbanization erased most of the remaining signs of aboriginal residence, on several sites you can still find aboriginal rock art. European interest grew when captain James Cook discovered Botany Bay in 1770, the year that Town of 1770 is named after as well. Now the city covers a large area bordered by a mountainous and hilly landscape in the inland as well as the Pacific Ocean on its shore. Net als in Melbourne zijn er in Sydney verschillende universiteiten. De twee belangrijkste, die wij willen gaan bezoeken, zijn de University of Sydney en de University of New South Wales. Just like Melbourne Sydney has several universities. The major ones, which we would like to visit, are the University of Sydney and the University of New South Wales. The University of New South Wales is leading in its field of expertise and research and maintains as motto “Scientia Manu et Mente”: Knowledge by Hand and Mind. The studies are in close contact with the research. We would also like to visit the university that exists the longest, University of Sydney, founded in 1850. A tour of the Australia Telescope National Facility is of course indispensable to find out more about radio astronomy. 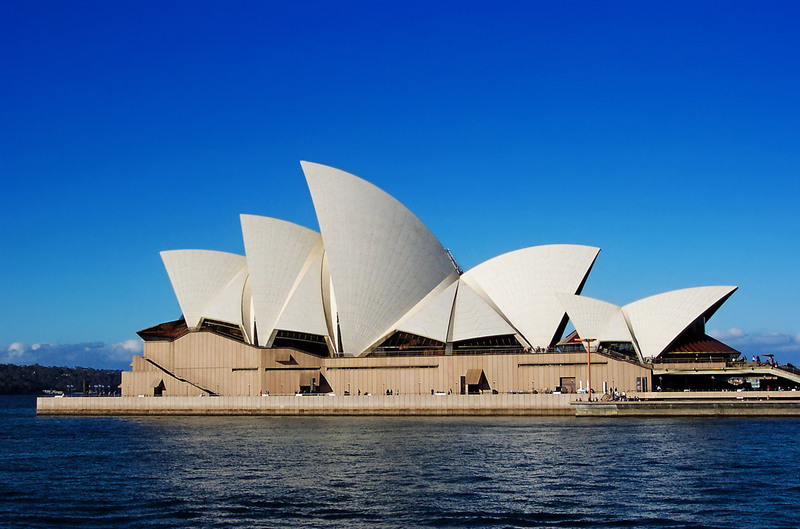 Sydney Harbour Bridge and the Opera House are two of the things we cannot miss out on. Perhaps we can climb the bridge and enjoy a concert in the house with its well-known sail-mimicking roof. Then there are the Blue Mountains, gorgeous views of gorges and steep mountainsides. A day of relaxation at Bondi Beach is another of the multitude of options we have. Not in the least would we like to learn about the native Aboriginal culture. We have worked very hard to constitute a program you cannot even imagine so diverse. Below you can find what the program will be like. Also see the program booklet under Downloads for more detailed information on each day. Saturday May 7 Blue Mountains Blue Mountains Going out!